What does your walking say about your true age? By Daniela Weber, research scholar in the IIASA World Population Program. Did you ever notice that you walk faster than your friends, or are you the one lagging behind? Your walking speed doesn’t only reveal how fast you walk; it can predict survival and the “slowing down process” and – according to a recent study – it can tell how old you are in terms of your physical fitness. If you are highly educated, or work in a non-manual job, you could be up to 15 years younger when it comes to your “walking age”—the age you are supposed to be according to your physical performance. Your chronological age does not necessarily reflect your “walking age,” which can be much younger depending on your lifestyle. For almost all of us, walking is necessary for our everyday lives. For instance, did you know that walking at about 1.1 meters per second (m/s) means that you can cross the street safely in time before the light changes? The decline in walking speed starts around age 60, previous research has found, and a speed of less than 0.6 m/s is associated with substantial impairments to daily life. In my new study, I investigated physical aging and particularly the walking age of older adults in England. 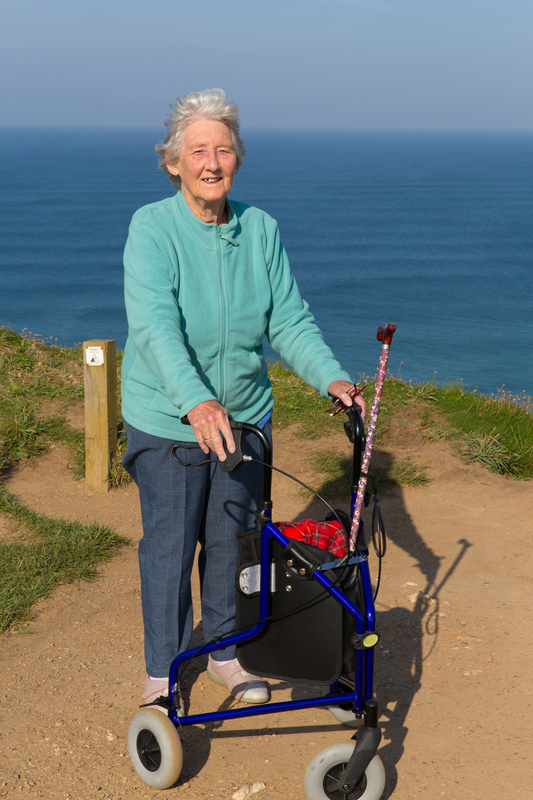 It’s well documented that higher socioeconomic status is positively associated, for older individuals especially, with better physical functioning, such as faster walking. My results confirmed the effects of education, occupation, and regional wealth on physical aging. For instance, a more highly educated 70 year old walked around 0.1 m/s faster at their normal pace than a less educated person of the same age. I noticed a gap of a similar magnitude comparing manual and non-manual workers, with a higher walking speed in those that worked in non-manual jobs. Interestingly, living in a wealthier region was also associated with higher walking speed, although the difference is only minor. The positive effect of living in a wealthier area might be down to fitness as a result of daily routine. People living in wealthier, urban areas are more likely to walk to the shops or to catch public transport than their counterparts living in rural areas, where people tend to use their cars for shopping or commuting. What does a difference of for instance 0.1 m/s mean and why is it important? I highlighted the differences by converting them into years of age. In a nutshell, less educated 70-year-olds walked on average at the same pace as more highly educated individuals who were 6.5-9 years older. At higher ages they had lost 2.5 years of walking age, which has been linked to many general health issues. Overall, the advantage of more education, non-manual work, or living in a wealthier region comprises up to 15 walking age years for men and up to 10 years for women. However, the size of the advantage declines with increasing age.